Have a very wonderful Christmas! I'm going to leave you for two or three days with my Books of 2012. I always have great fun compiling my favourite reads of the year, and this year was actually somewhat easier than usual. There were plenty of excellent books (albeit also more duds than usual) but ten stood out immediately as really exceptional. But then I added another three, because I couldn't face leaving them out. Even as it is, some really great books aren't making the grade. My usual rules apply - an author can only feature once, and re-reads aren't included. And, of course, these aren't just books that were published in 2012. Because I believe I only read one book published in 2012. (It was very good, incidentally - Shrinking Violet by my friend Karina Lickorish Quinn.) And I love making lists, so these are in order. None of that 'in no particular order' for me! Clicking on the book title will take you to my original review. If the whole novel had taken place in the Parisian house, without the half of the novel devoted to flashback, this would have been further up my list - but, still, it's an amazing reassessment of Bowen on my part. Thanks to Darlene for making me try Bowen again! An understated and beautiful chance meeting of two children on one day in Paris. I don't love Taylor quite as much as some, but this novel about a woman and her husband stationed in the absent Mrs. Lippincote's house, during WW1, is both her first novel and my favourite. Very subtle, moving, and often witty. I think I actually prefer this sequel to Three Men on a Boat - all of the same silliness and hilarity, and even less of an ability to stick to the point. Gloriously funny stuff. 2012 was a great year for reading autobiographies, and although I've read none of Kaye-Smith's rural novels, I loved her account of her life, told through the books she cherished at different periods. Filled with great anecdotes, it is her love of books which comes across most strongly - and strikes a chord with me! Of all the Spark novels I've read this year, none have come up to the high standard of my favourite (Loitering With Intent), but this eccentric, brilliant novel was the strongest contender. Who but Spark would combine someone researching the Book of Job with a terrorist organisation? Mad, but madness dealt in calm doses. Utterly Sparkian. Any newly-translated (thank you Thomas Teal) Jansson book is a shoo-in for my Best Reads of the year. This short story collection is no different - Jansson can turn her eye to anything, but of especial interest to her here are the ideas of artists and creativity. My favourite ICB novel yet, this is set in a girls' school, rather than her usual sprawling families. None of the girls get a line, but the in-fighting of the teachers, an unwanted wedding, and a peculiar death all come together to make a very amusing, very Ivy novel. 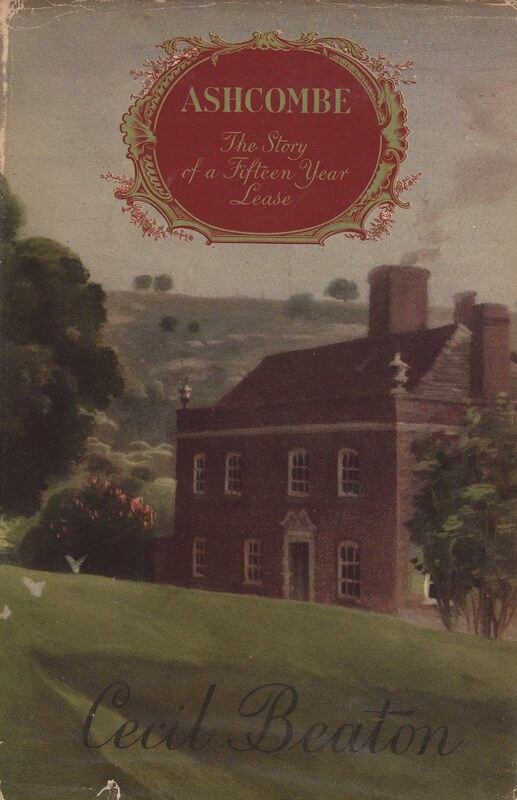 A really gorgeously beautiful account of Beaton's fifteen-year lease of Ashcombe house. His eccentric redecorations, his love for the countryside, and his amusing waggish friends come together to make this an absolute gem of a book - not without sadness, as WW2 rears its ugly head towards the end of his stay. The sequel to Jackson's Life Among the Savages is just as uproariously funny - difficult to believe the Gothic-horror-type novelist, best known for one of the most unsettling stories ever, also wrote delightful, hilarious accounts of being a busy wife and mother. Get hold of these by any means possible. Any perspective on my beloved Dame Ivy is welcome, but that of her typist (and friend) is unique. Greig writes understandingly, without rose-coloured glasses, but also as a fan of her writing - it's a great combination of personal memoir and literary appreciation. Oh, how spoilt I was with memoirs this year! A rich, enchanting account of Smith's wide family and happy childhood - including the inspiration for some of her writing, and hilarious accounts of her early attempts at acting. Everything interests her avidly. Just delightful - and, even better, three more autobiographical volumes to read later! The best memoir I read this year, and another triumph from Slightly Foxed. 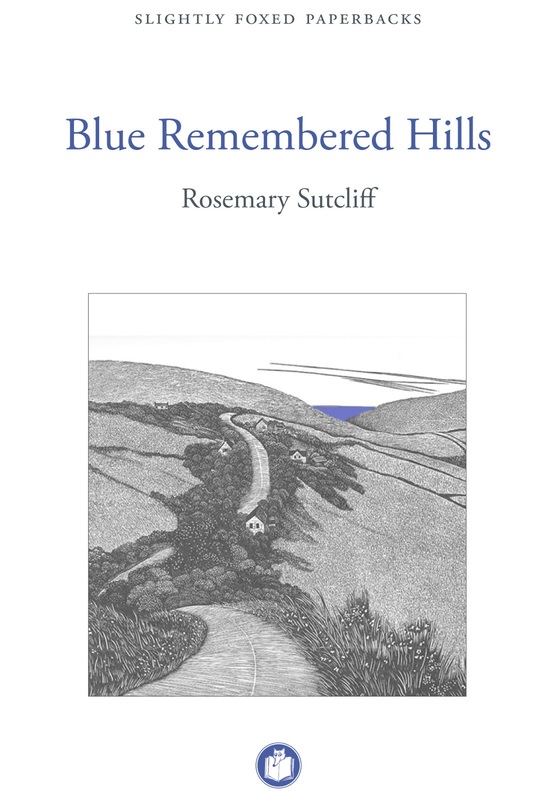 I haven't read any of Sutcliff's novels (and, given my distaste for historical fiction, I'm not especially keen to) but her autobiography is, like Smith's, a total delight. Despite a very difficult relationship with her mother, and living in and out of hospital through her childhood, there is nothing melancholy or self-pitying here. Just an absolute joy to read. I was only a couple of pages into this heavenly book when I knew it would be my book of the year. Morgan narrates the bizarre life of her isolated family of sisters. It certainly owes a debt to I Capture the Castle, but is perhaps even better - the most charming, lively, lovable, and eccentric family imaginable, I couldn't believe how good it was, while I was reading. Others have been quite lukewarm, but causing a mini-revival for this glorious novel has been one of my proudest blogging moments. If you've created your own list, do pop a link in the comments. Happy Christmas, one and all! I'm glad that Guard Your Daughters has won, it's a wonderful book! Merry Christmas for you and your family, Simon. Hope you will have a lovely time. Thanks for linking to your list, Agnieszka - glad to see some familiar titles there! I am looking forward to reading Guard Your Daughters - now Kerry from LT has sent me her copy. I think I will love it. I will be compiling my listin the next few days - have already started actually and am really struggling to keep it to my usual 10 - so I may do 12 for 2012. Have a wonderful Christmas. Yay, Samantha! Glad you had the same experience with GYD - and sorry it's impossible to buy now! I have been looking forward to this list, Simon! Yours is always my favourite of the many "Best of" lists that show up at the end of the year. I was fairly confident I knew what was going to earn top spot so it is the rest of the list that most intrigued me. How interesting to see that Blue Remembered Hills came in ahead of Look Back with Love! 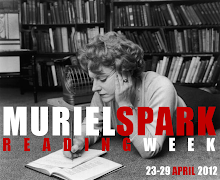 I have only read four of these (Guard Your Daughters, Ashcombe, At Mrs Lippincote's and The House in Paris) and am eager to read at least eight of the others (the Spark might be the only exception). I have a few of these out from the library right now so I should be able to get started on them soon - ICB first! Thanks Claire! Yours is, of course, one I really look forward to as well - actually, hang that, it's my favourite! I know I'll always see some much-loved books, and some surprises. What hidden treasure will you bring to our attention in 2013? 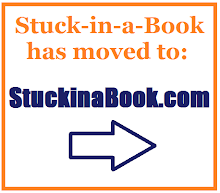 I've greatly enjoyed reading your thoughts and finding out about so many new-to-me authors in 2012. Thank you for your many deeply enjoyable and always thought-provoking posts. I love lists so much that I always make them, even if quite a few of them could probably be interchanged in the order - but not no.1! I'm copying your list! I've read several of the authors "other" books just not these ones and your top one is definitely heading my list as well. Have a wonderful, blessed Christmas. Re No. 8 on your list - you might like to see a "Life of Tove Jansson" on BBC4, Wednesday 9 pm. Thanks Pat! I was away from TV and internet for a few days, but I'm excited about watching this tonight! Before I saw your comment, I'd thought it was on radio - so I'm delighted that it's on tv, as I get to see beautiful Scandinavia at the same time as hearing about Jansson. I might just have to get my hands on Guard Your Daughters! I am thoroughly ashamed to say I haven't read *any* of these so I shall certainly have to look some of them up. Guard Your Daughters seems to be one that absolutely must be tracked down. Thank you for the list, Simon, and Merry Christmas! Merry Christmas Leander! None of them are very mainstream, so no need to feel shame about not having read them ;) But do try to get GYD! But ... but ... there's a WEEK OF READING to go! What if you read something 'mazing in that week? What happens then? Haha! I know! I just had to get it up before I went away. Some bloggers announce theirs at the beginning of December, and I think the same thing. I have a cheeky method - if I'm really loving something, I leave a page or two at the end, and read it at the beginning of January so that it counts on next year's list! thanks Stu! Hope you had a lovely Christmas. Oh, you would adore Raising Demons, Susan, I have absolutely no doubt! I wholeheartedly agree with your love of "Guard Your Daughters"- I eked it out as long as I could, wanting to savour the company of those delightfully eccentric girls.Surely it is a contender for "Persephone"? I shall definitely look up "Ashcombe" and shall try Elizabeth Bowen and Ivy Compton - Burnett (both of whom have sat on my bookshelves since I was a student but have never quite made it off. 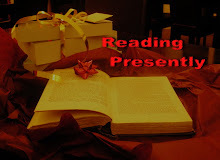 )Have a wonderful Christmas and thank you for so many literary treats! Lovely to hear that, Deborah! I have high hopes that GYD will become a Persephone... how wonderful that would be! And if ICB has loitered on your shelf for a long time, make 2013 the year that she leaps off it, please! I was one of those who loved "Guard your Daughters" so I'm very glad it got top place! In addition to "Guard Your Daughters" my 2013 TBR pile includes: "The Home-Maker" by Dorothy Canfield, "All Our Spoons Came From Woolworths" by Barbara Comyns, "Miss Hargreaves" by Frank Baker, "The Towers of Trebizond" by Rose Macauley, "Cheerful Weather for the Wedding" by Julia Strachey, and many, many more. Oh what a sublime list! I love all the 8 that I have read - some of them being amongst my very favourite books - so I have no doubt that I shall also love the other two (Walls and Boo) which I have never heard of. And of course I can't wait to hear that you think of my beloved Miss Hargreaves! "Behind the Beautiful Forevers" is narrative non-fiction about present-day life in a Mumbai slum. It won the National Book Award in Nov. 2012 and reads like a novel--full of beautifully drawn characters. All in all, a real eye-opener. "The Glass Castle" is a fairly recent memoir about growing up with two loving, crazy, totally irresponsible parents (who ultimately choose to live homeless on the streets of New York), the extreme poverty they subject their four children to because of their choices, and how their kids escape the situation. I read this in more or less one sitting, breaking only for meals with family. Ooh, I almost forgot. I'm 2/3 of the way through "Mrs. Tim of the Regiment" by D.E. Stevenson and am loving it. I quite sure that it should be #11 on my list of favorites (although I agree with you that the first half is much better than the second). Top tens were made to get longer and longer ;) Another fab title! Lots to try here in '13, thank you. I hope you and your family all have a very happy and peaceful Christmas. I'm adding all of these to my list and reading them as soon as possible. They sound terrific. Just off to have a look at your list, Alex! So many great recommendations; thanks so much. Hope you had a wonderful Christmas with family and friends, or perhaps some extra quiet time with a good book that you really enjoyed. thanks Diane! I enjoyed some lovely books post-Christmas - all very relaxing ones. Oh, how I loved The Awakening when I read that! I must read more Greene, so thanks for the reminder - The End of the Affair is the one I'm most keen to read, actually. Even better than I Capture the Castle! Then I simply must read it. The end of 2012 has been a great reading period. I just finished "Little Boy Lost" by Marghanita Laski, "The Priory" by Dorothy Whipple, and will finish "One Fine Day" by Mollie Panter-Downes tomorrow. LBL and OFD are definitely among my favorites this year and I enjoyed my introduction to Whipple. Lovely, lovely One Fine Day! I know I'll be re-reading that time and again. That's a WHipple I haven't read - in fact, I haven't read anything by her for a little while, so must read some more. Especially since I have a signed copy of The Priory! I haven't read any of these books but I am intrigued by the fact that you find Jerome's sequel funnier than the first one. That's the first time I have had somebody say it. Now, I really want to read it. Incidentally, my favourites list too is 'A Baker's Dozen'. Glad to have discovered your blog. Following it now. A Century of Books: Complete!